Yesterday I put this up on my Instagram and it went crazy with comments. Over 200 of them with people tagging each other lots. I can’t take credit for this cool little $12 gadget. My friend Kate alerted me to this. 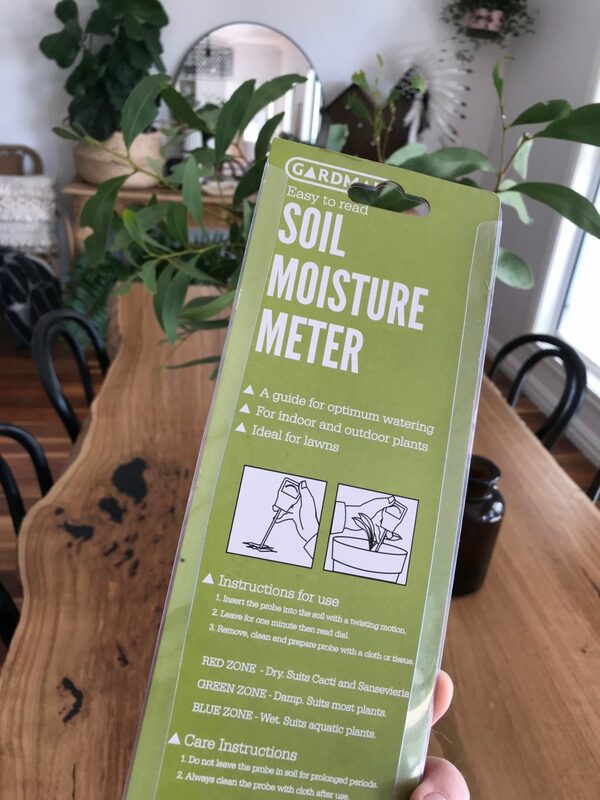 It’s a ‘Moisture Meter’ from Bunnings and it will tell you if your plants need watering or not. 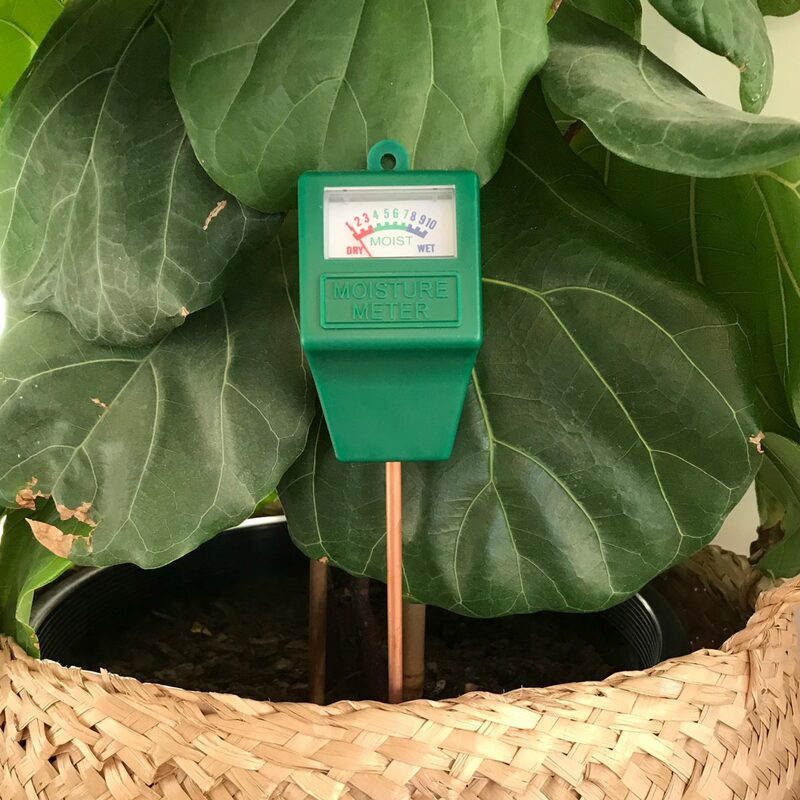 Kate said she’s had 9 new leaves on her fiddle leaf fig since using this! I put it in all my plants over the weekend. I am a plant junkie and have about 20 of them. Ooopsss….. So it can be hard work deciding when to water them and how often. This will save me for sure! 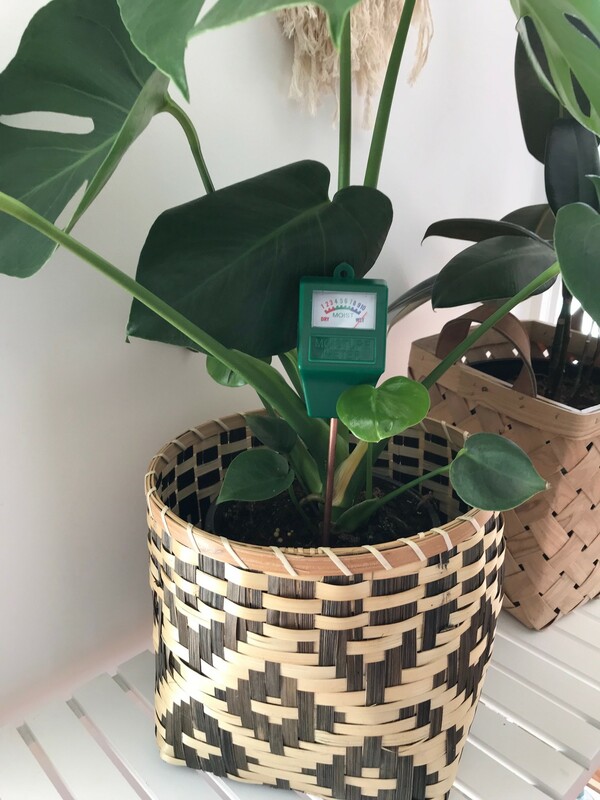 My fiddle was very dry, but my monstera doesn’t need any for a while. 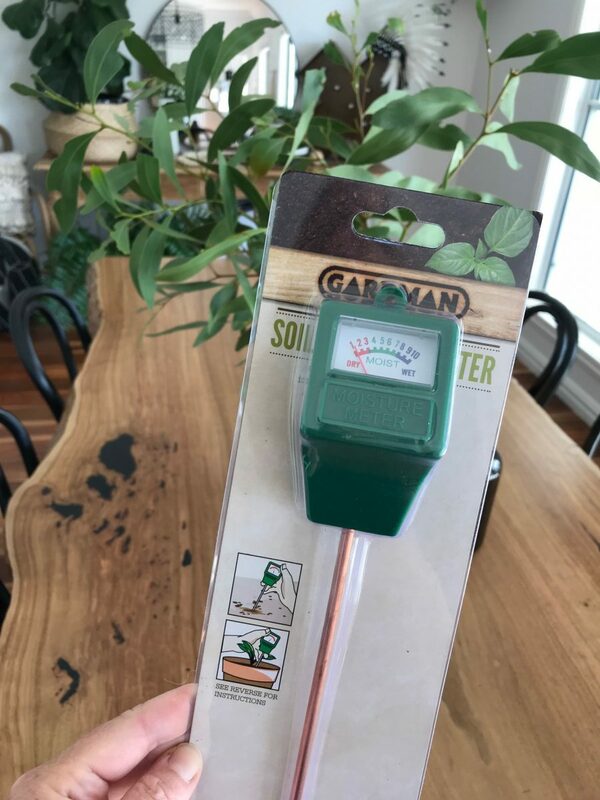 Not sponsored at all, just a handy tool to own if you have indoor plants. Eeeeek I need this in my life!!!!! It doesn’t say how deep to insert? ?